Get comfortable with being uncomfortable. Feel the joy of being your true self. Experiences push students to expand their thinking, tap emotions, and grow their leadership capacity. SJLS brings together students and faculty for a full-day exploration of social identity, privilege, ally work and social change. The Black Student Alliance is for all students who wish to celebrate Black culture, history, activities, and food. This organization fosters a strong sense of community for all students regardless of race or ethnicity. GSA creates a safe space for LGBT+ students and educates students on how to be better allies within our community. Aims to preserve and promote Spanish, Latin American, and Latino cultures by raising awareness of the cultures of the Spanish-speaking world and by celebrating the richness, diversity, and contributions of Hispanic and Latino populations. We want to provide a sense of community and security for our Hispanic and Latino students. Promotes cultural diversity by displaying and celebrating cultural traditions. Peer educators that work to create a more inclusive community here at St. Luke’s School. These students will work closely with the Office of Inclusive Excellence and Leadership to develop programs such as the Social Justice Leadership Summit, the Connecticut Student Diversity Leadership Conference, and help advise our other diversity groups. Young Men and Women of Color need space and time to discuss the challenges of being minority members of the St. Luke's community. As an affinity group we strive to increase self-awareness and foster an inclusive mindset. 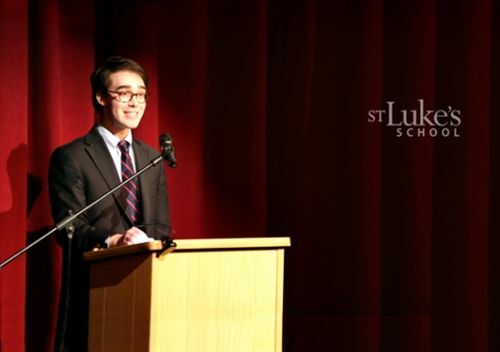 St. Luke's Music Department Chair, Dale Griffa is Commissioner and co-director of the CAIS Student Diversity Leadership Conference. 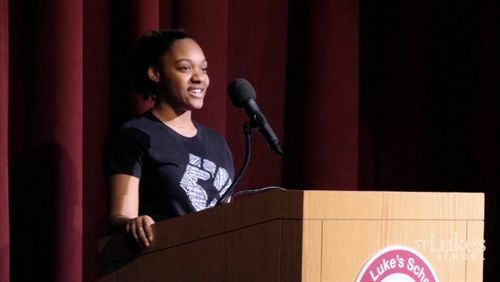 A recent Meditation by Raven Sead '20 reveals a personal, poignant reflection on the challenges faced by those in a minority population. Listen to this courageous young woman as she opens eyes and asks peers to step up to the work of inclusion. 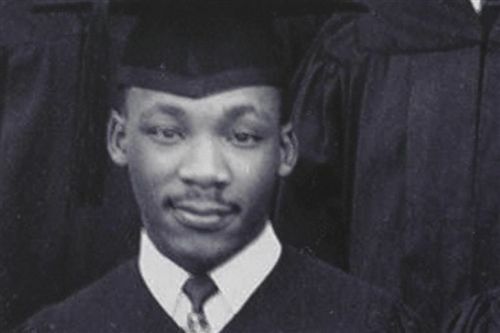 St. Luke's History teacher Dr. Jason Haynes reflects on the far-reaching, enduring impact of Martin Luther King's extraordinary leadership, moral strength, and courage. 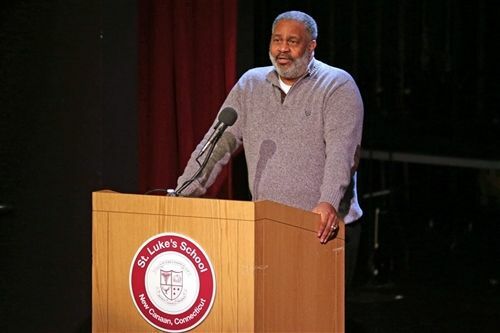 St. Luke's was privileged to hear from Anthony, Ray Hinton, author of The Sun Does Shine: How I Found Life and Freedom on Death Row, his harrowing story of nearly three decades spent in prison for a crime he did not commit. Enjoy this humorous, thought-provoking Meditation by St. Luke's English Teaching Fellow Tom Owen as he shares his personal approach to the question, "What is it like to be biracial?" 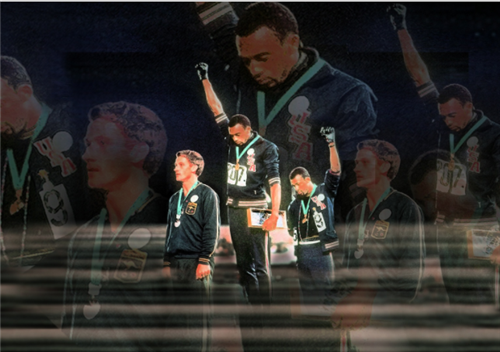 See Head of School Mark Davis' Meditation reflecting on the story of Tommie Smith, John Carlos and Peter Norman, three Olympic athletes who stood against injustice but paid a heavy price.